Great Deals In The Back To School Sale At Kohl's! You are here: Home / Great Deals / Great Deals In The Back To School Sale At Kohl’s! Great Deals In The Back To School Sale At Kohl’s! Get online to check out the Great Deals In The Back To School Sale At Kohl’s! Many items are already on sale plus you can stack special offers! These six items would have originally totaled $96! On sale they total $34.37! Use promo code BTSKID10 to get $10 off your $30 purchase of school clothes! Plus use promo code BACK2SCHOOL at check out to get an extra 15% off! 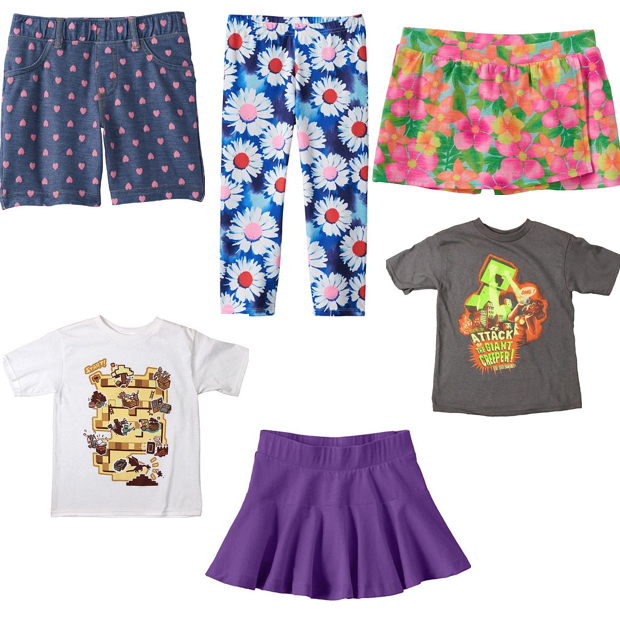 Final price $20.71 for 6 pieces of clothing – that $3.45 per item! Remember you can buy online and pickup in store or get FREE shipping on orders $75+!